Don't pretend you haven't heard it - Jose Gonzalez's Sony endorsed classic 'Heartbeats' is everywhere. 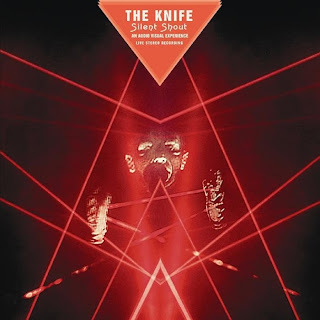 From the Sony Bravia advert to any 'heartfelt' Channel 4 advertisement, you know it - and it's not even Gonzalez's song, yep that's what I'm getting to, it's the Knife, who have now (in a very timely fashion) seen it fit to release their latest album. 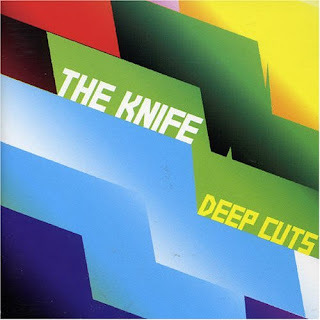 Quite surprisingly for those unfamiliar with the Knife's back catalogue, this is very much an electropop affair, all vintage synth arpeggios, drum machines and effected vocals markedly distant from Gonzelez's Simon & Garfunkel-lite ditties. I can't say this is a bad thing though, for what the Knife do, they manage it very well, and the album is already getting hyped from all corners, Pitchfork already claiming this could be an early contender for album of the year. If you are in any way attracted to the sound of early Human League, John Foxx or Gary Numan, or got terribly excited (as we were) about the Junior Boys classic 'No Exit' album, you should really check out The Knife without delay. Emotional, electrified and with of attitude, if I wore make up then it would be dripping down my face right now. Right? You've all heard 'Heartbeats' by now, okay so chances are you won't have heard Swedish bro and sis duo The Knife's original, but you know the track. 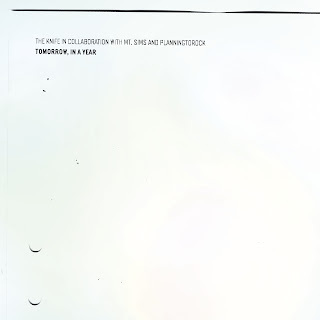 It appeared as if from nowhere last year on Sony's successful Bravia advertisement as covered by fellow Swedish sort Jose Gonzalez, a move which shot Gonzalez to fame and no doubt collected Olof and Karin Dreijer a wad of cash from MCPS, but it has taken a little longer for this duo to achieve any sort of mainstream success. Although championed by Pitchfork and other internet magazines and blogs, their leftfield and credible take on electropop and dark Euro techno has not achieved them the same sort of adoration as the man Gonzalez. The album kicks off with the aforementioned Sony-friendly anthem 'Heartbeats', arguably the high point of the record (but maybe that's because I know it so well now), but what proceeds this doesn't disappoint either. 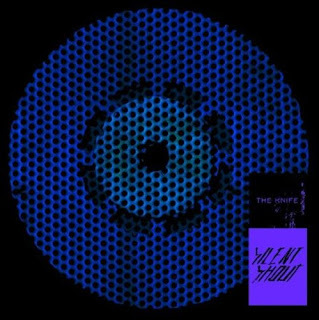 The following tracks just serve to affirm the Knife's status as prime architects of party pop, not the sort of pop your kid sister would be learning dance steps to but music for parties drenched in blue neon lights, heavy spirits and illegal substances, with a besuited man looking wasted in the corner. Great stuff. 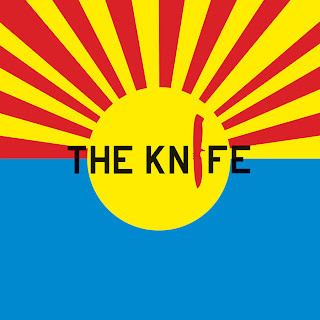 The debut album from everyone's favourite Swedish siblings, 'The Knife' was the eponymous first peek into their charming electro world - now getting a full-fat re-release to capitalise on the twin vestiges of bouncy balls and the superlative 'Silent Shout' LP. 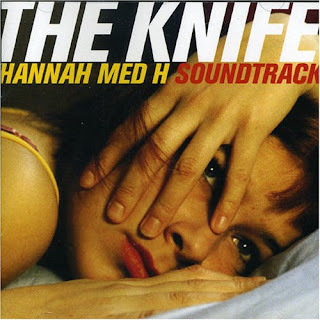 Far more innocent and bright-eyed than their later work became, The Knife nonetheless sound like The Knife - with songs like 'Neon', 'Lasagne' and 'N.Y. Hotel' combining a bouncing electro backing with a foreground of vocals that can't help but attract Bjork comparisons. Always managing to draw a real warmth from what could be a clinical collection of elements, Karin and Olof Deijer pepper their tracks with digital flourishes that are both perfectly muted and loudly ornate - before topping the likes of 'I Take Time' with heart-wrenching vocals and bursts of axe-wielding guitar that keep you fully engaged. Electro noir, intelligent pop, neon digitalis - whatever genre tag you choose to throw at The Knife doesn't really do them justice, and with them now garnering the kind of praise they deserve (i.e. Not just Pitchfork...) this eponymous debut will finally get an appreciative audience. Cutting edge!